America is one of only two industrialized nations worldwide that doesn’t provide paid maternity leave. The national requirement for employers is only 12 weeks off, unpaid - which often forces women out of their jobs once they become moms. And when moms are ready to return to the workforce after being pressured out, they face extreme discrimination. 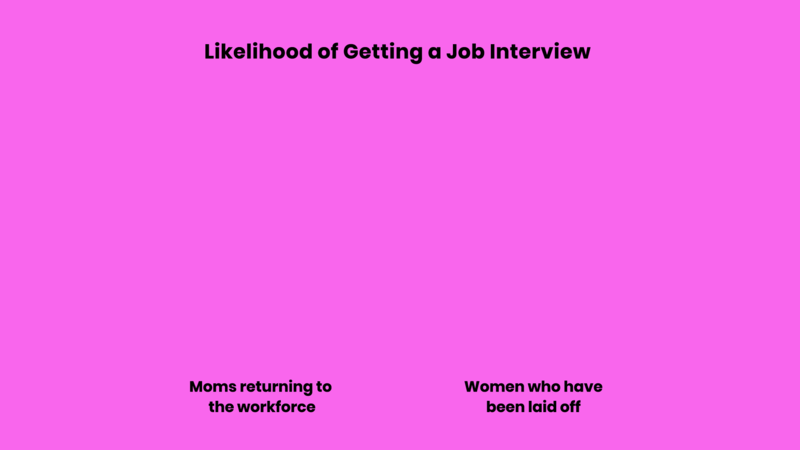 In fact, moms are 50% less likely to even land a job interview than women who have been laid off. There’s no standardized job description for maternity leave - and to make things worse, prospective employers can’t legally ask moms about gaps in their job histories. We can’t fix public policy overnight, but we do know one thing to be statistically true: moms who openly acknowledge time spent on maternity leave have greater chances of being hired. Being a mom belongs on your resume. The easier it is for moms and employers alike to talk about maternity leave, the sooner we can create change in the workforce. And if you're not a mom: join us, showing the moms in your life you're down for the cause by sharing The Pregnancy Pause with them today! a fictional company created by Mother NY.